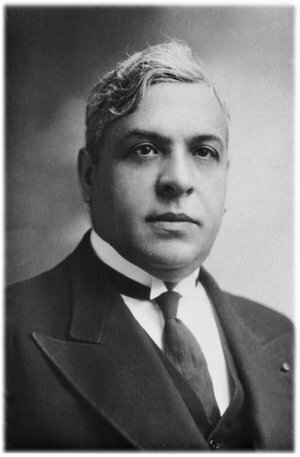 An aristocratic scion, Mr. Sousa Mendes entered the foreign service after law school and spent years on a whirlwind diplomatic tour taking him from Zanzibar to San Francisco before arriving in the south of France in 1938. 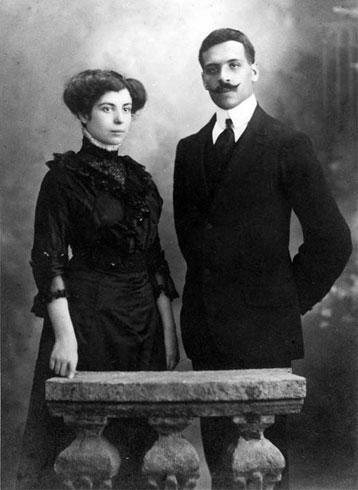 Mr. Sousa Mendes was a bon vivant and excelled as a diplomatic host, entertaining luminaries famous across the world like Albert Einstein and King Alfonso XIII of Spain. But with his posting as consul-general in Bordeaux, things took a more serious turn. As the winds of war swept across Europe, Portugal’s autocratic prime minister, Antonio de Oliveira Salazar, was determined to maintain a strict neutrality. So in late 1939, a couple of months after the German invasion of Poland, the Portuguese Foreign Ministry issued its infamous Circular 14 to all embassies and consulates, announcing new regulations concerning categories of people who would not be issued visas without direct approval from the Foreign Ministry. Those “of undetermined, contested or disputed nationality” were excluded, as were those unlikely to be able to freely return to their home country or support themselves. 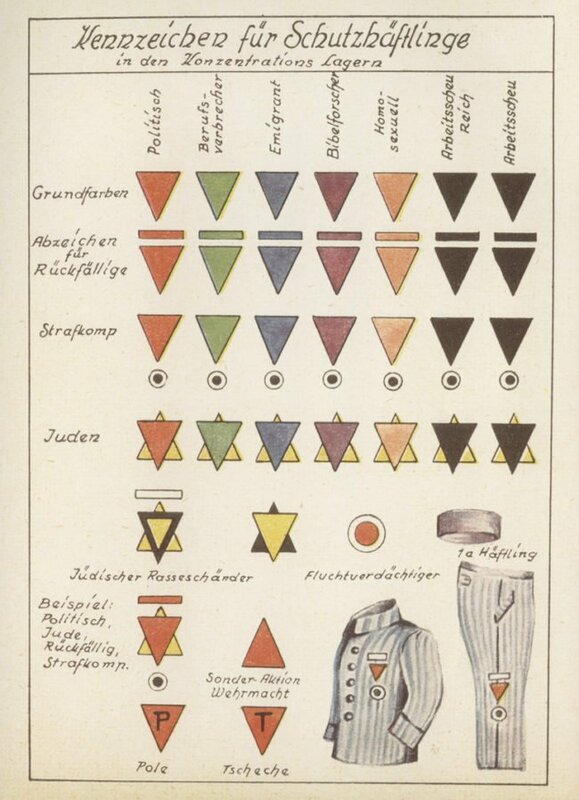 One category was stark: “Jews expelled from the countries of their nationality.” Circular 14 covered the very refugees for whom passage was a matter of life and death. Mr. Sousa Mendes resisted this order from the start. Then in May 1940, the Nazi blitzkrieg swept into France. Tens of thousands of people descended on Bordeaux by train, car, bicycle and even foot. Crowds formed at the Portuguese consulate. Mr. Sousa Mendes cabled Lisbon for instructions. The response: enforce Circular 14. On June 17, Paris fell. 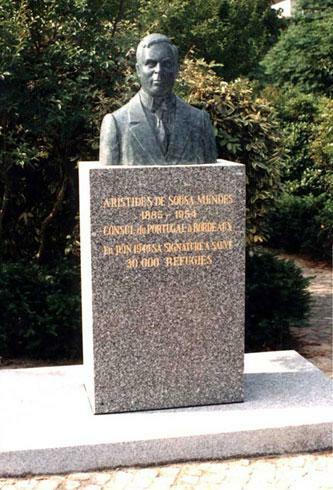 Mr. Sousa Mendes became more and more tortured by what he saw. 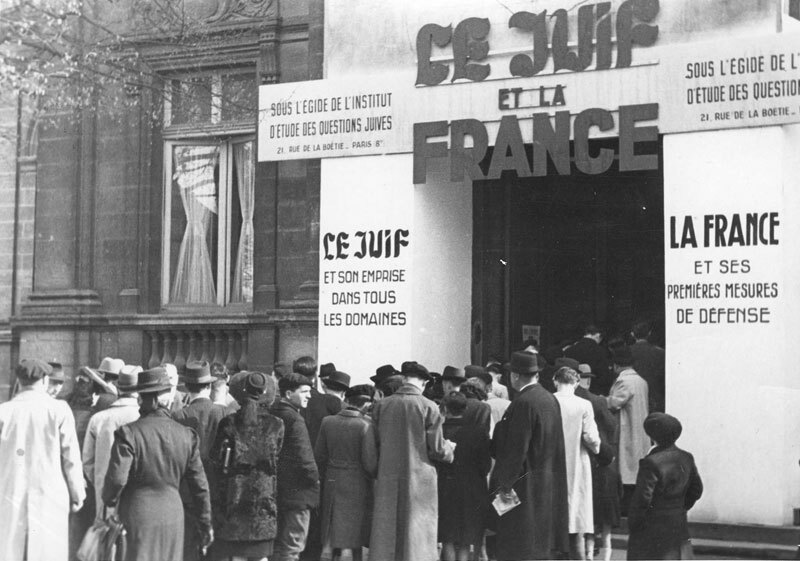 In front of the great synagogue of Bordeaux, he met Chaim Kruger, a young Polish rabbi with his family crowded along with thousands of Jews in the square. 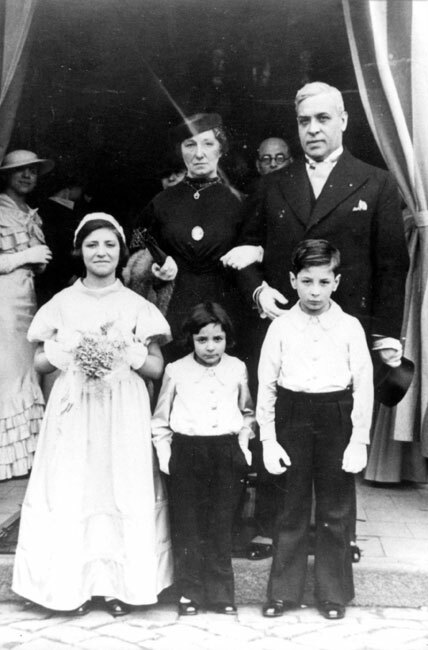 Mr. Sousa Mendes offered to help, but his request for visas for Mr. Kruger and his family was rejected. 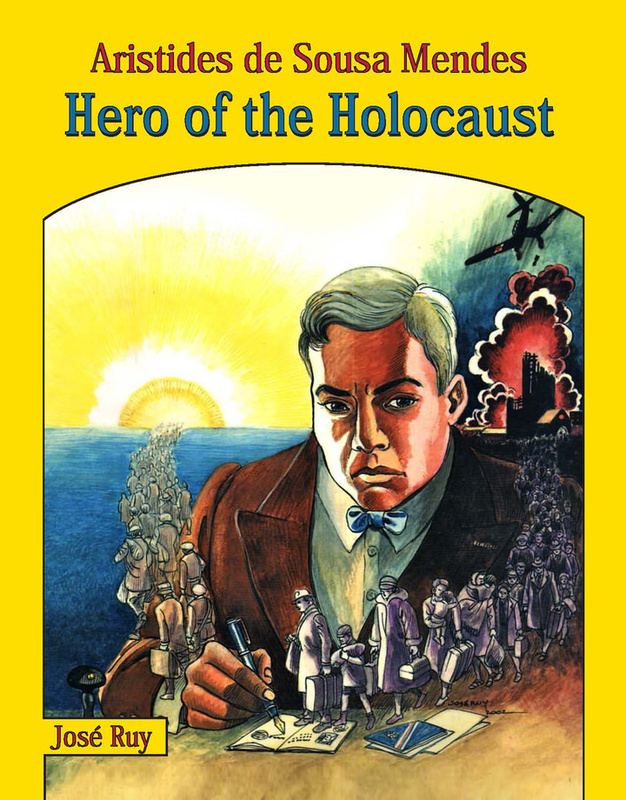 Mr. Sousa Mendes assured the rabbi he would do everything in his power to get the necessary papers. 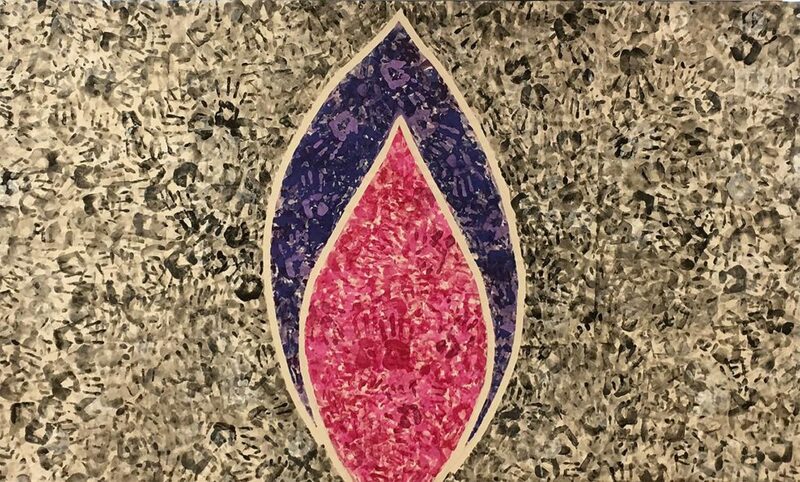 “It’s not just me that needs help,” the rabbi told him, “but all my fellow Jews who are in danger of their lives.” The words hit Mr. Sousa Mendes like a thunderbolt. 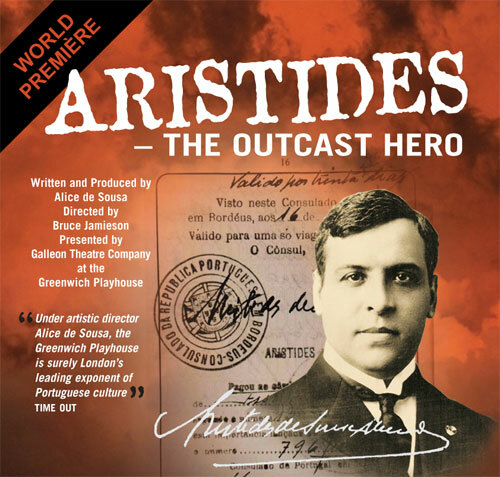 For three days, he took to his bed in despair, according to a fine biography by Jose-Alain Fralon, “A Good Man in Evil Times: The Story of Aristides de Sousa Mendes.” Then he emerged full of energy. “From now on I’m giving everyone visas,” the diplomat declared. “There will be no more nationalities, races or religion.” “I cannot allow all you people to die,” he told the refugees. 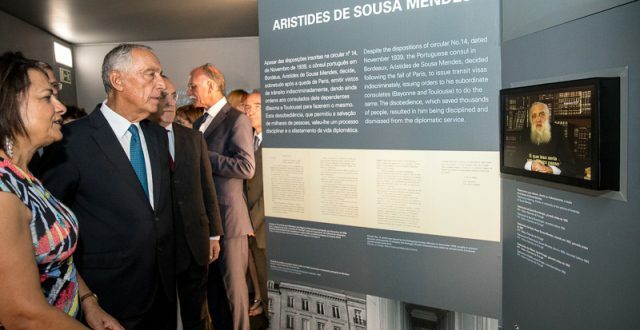 Those who were helped by Portugal's consul general, Aristides de Sousa Mendes, during World War II assemble outside the former Portuguese consulate in Bordeaux. Sousa Mendes issued 10,000 visas to Jews including Stephen Rozenfeld (center front, in blue), George Helft (center front, in white) and Lissy Jarvik (third from right), before being recalled and dismissed from the diplomatic service. 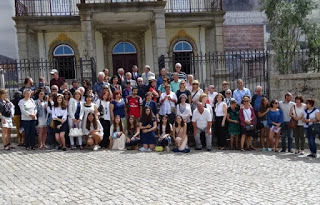 A group of about 50 people gathered in late June in the sunny courtyard of the Portuguese consulate in Bordeaux, France. 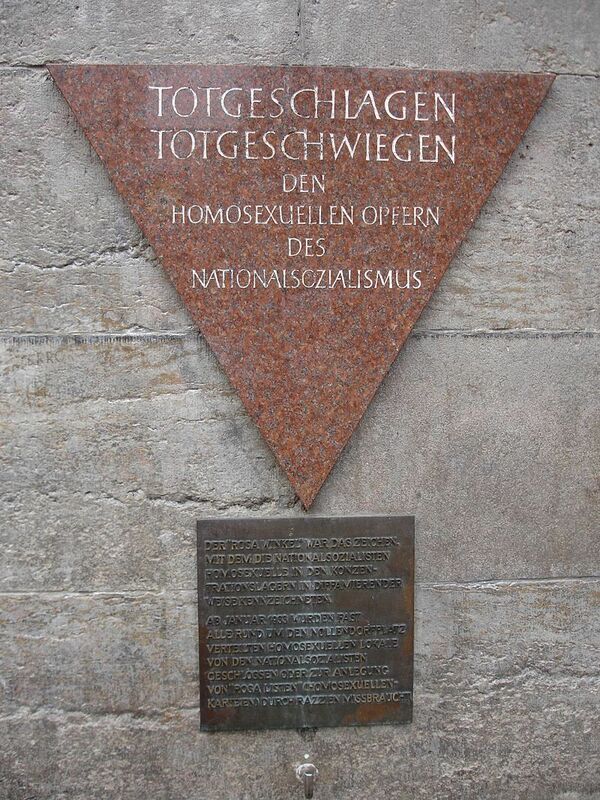 It was from here in 1939 and 1940 that Portuguese diplomat Aristides de Sousa Mendes do Amaral e Abranches issued approximately 30,000 visas to Jews and other stateless refugees. 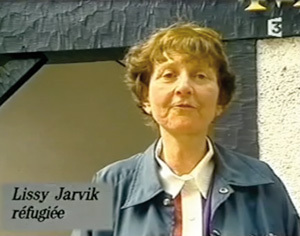 Lissy Jarvik, who lives today in California, was one of them. "I was a recipient of a Sousa Mendes visa," she tells the group. "Otherwise I wouldn't be here. I would've no longer been alive 72 years ago." 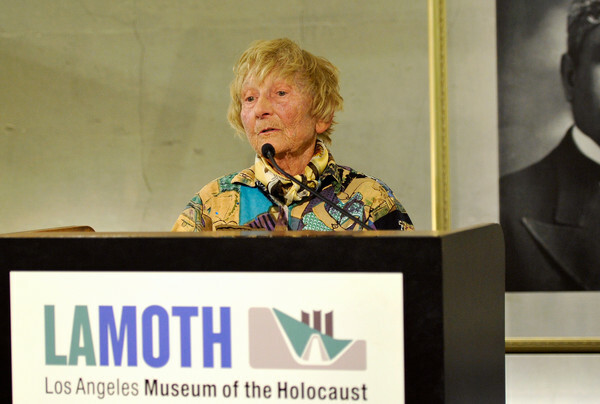 Jarvik was just 16 when her Jewish family fled their home in the Netherlands in 1940. She's come back to France today with her two sons. They are part of a group, including visa recipients and their descendants, making a 10-day pilgrimage tracing the escape route taken through France, Spain and Portugal. It was from Portugal that they finally got out of Europe. While the heroic stories of others who saved Jews during World War II are better known — such as German industrialist Oskar Schindler, who saved Jews by employing them in his factory — the story of Sousa Mendes, who saved the lives of 10 times as many Jews as Schindler, has remained relatively unknown. But that is changing. Jarvik says she always assumed the Portuguese government had issued her family's visas to get out of France. Portugal was neutral during the war. But its Fascist dictator, Antonio de Oliveira Salazar, had actually issued orders banning Jews, Russians and stateless people from entering the country. 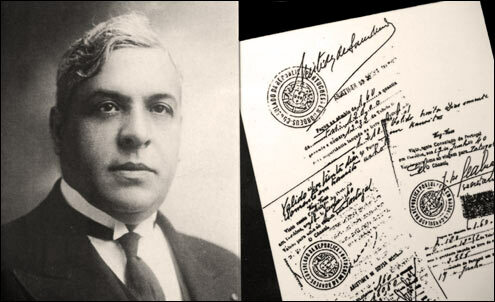 Sousa Mendes, his country's consul general in Bordeaux, knowingly disobeyed those orders, frantically signing visas day and night just before he was recalled to Lisbon in late June 1940. At each stop along the way of this pilgrimage, covering a route including Bordeaux, Salamanca and Lisbon, people give testimonials. Some read old letters from late family members who escaped. But George Helft reaches back into his own memory. 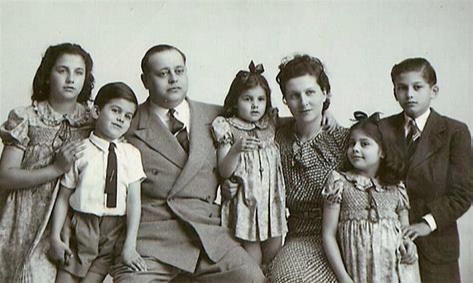 He was 6 when his family fled Paris, as the Nazis entered the city in June 1940. "It's difficult for me to describe the roads then," he says. 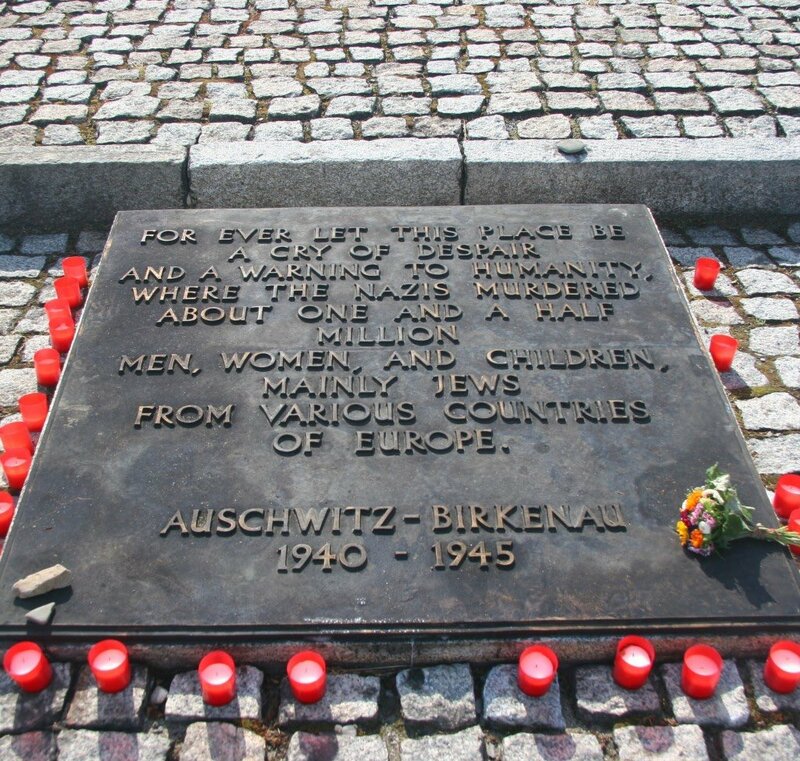 "But I remember them very, very well. They were filled with baby carriages, old cars with mattresses on the roof and six people inside. Thousands of people were walking, some with wheelbarrows, and of course everyone going south." Helft's extended family got out of France and was able to reach New York. He only recently found out this was all because of Sousa Mendes. Olivia Mattis, president of the Sousa Mendes Foundation, based in Huntington, N.Y., says it wasn't until 2011 that volunteers with the recently formed organization began to identify visa recipients. They were able to do so by comparing the names on a ledger from the Bordeaux Portuguese consulate, found in the mid-1990s, with ship passenger lists. While the ledger only gave the name of the head of the family, the ships listed every single passenger. 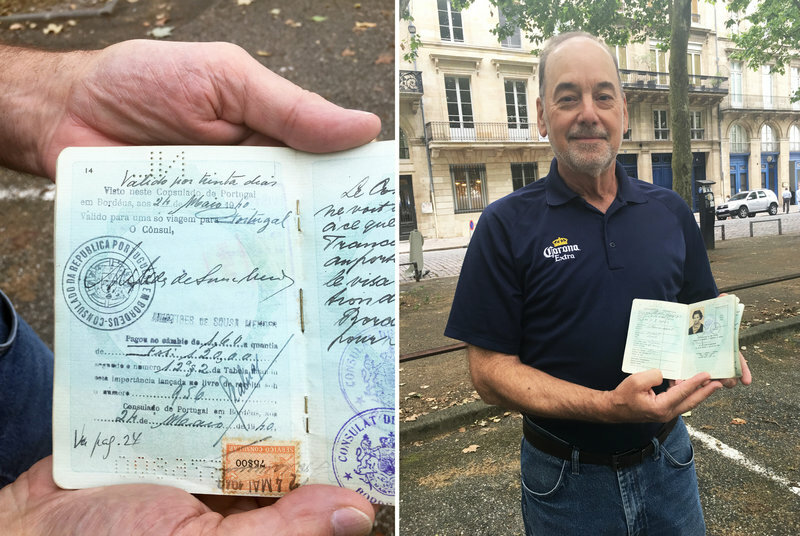 Retired U.S. newspaper editor Rebel Good (right) holds his Dutch-born mother's passport, showing the signature of Sousa Mendes. His mother never spoke about her escape from Europe. After her death, "I opened the passport up to the center, and the visa was there with Aristides de Sousa Mendes' signature on it," says Good. "It was a very moving and chilling moment." Good remembers getting a call four years ago at his home in North Carolina. "It was from someone who said he was with a foundation," says Good. "At first, I thought he was asking me for money. But he brought me up short by asking me pretty quickly if I were the son of Annelies Kaufmann." Good says his late mother never talked about her escape from Europe. After the call, he dug out her old Dutch passport. "And I opened the passport up to the center, and the visa was there with Aristides de Sousa Mendes' signature on it," says Good. "It was a very moving and chilling moment to see that connection just come forward." Since 2011, nearly 4,000 visa recipients have been identified. Another is 82-year-old Stephen Rozenfeld. When he was 5, he fled Lodz, Poland, with his family. Stephen Rozenfeld and daughter Leah Sills were among those gathered to honor Sousa Mendes' memory. 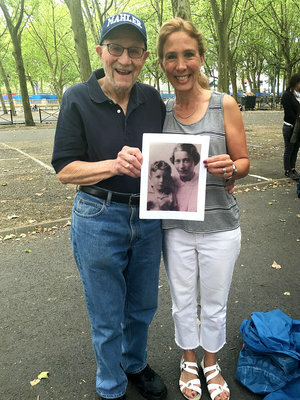 Rozenfeld holds a photograph showing him and his mother when he was 5, when he and his family received Portuguese visas and fled France. "We never knew what happened to our family when they got to Bordeaux," says Leah Sills, his daughter, who accompanied her father on the pilgrimage. "We never knew that part. And to find out that this one man sacrificed his own family and his own life for all these people is incredible." 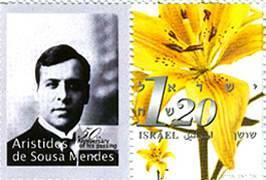 When he was called back to Portugal in June 1940, Sousa Mendes was tried on 15 charges including violating Portugal's prohibition on visas for Jews and other stateless people. He was found guilty and dismissed from the diplomatic service. A father of 15, he was stripped of his pension and lived in poverty until his death in 1954. At his own urging, 11 of his children emigrated — some to countries in Africa and others to the U.S. and Canada. 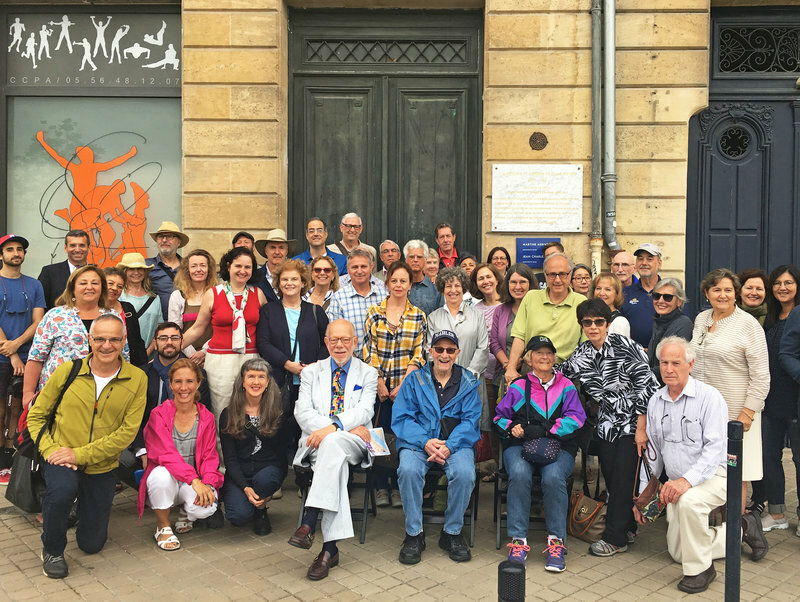 Gerald Mendes, one of Sousa Mendes' many far-flung grandchildren, is also on the pilgrimage. He was born and grew up in Montreal. He says his grandfather was officially rehabilitated by the Portuguese government in 1988, and the family received an official apology from the president. The connections and stories pouring forth on this trip are important for his grandfather's legacy, he says. "The story of each refugee is a new brick in the story of Sousa Mendes," he says. 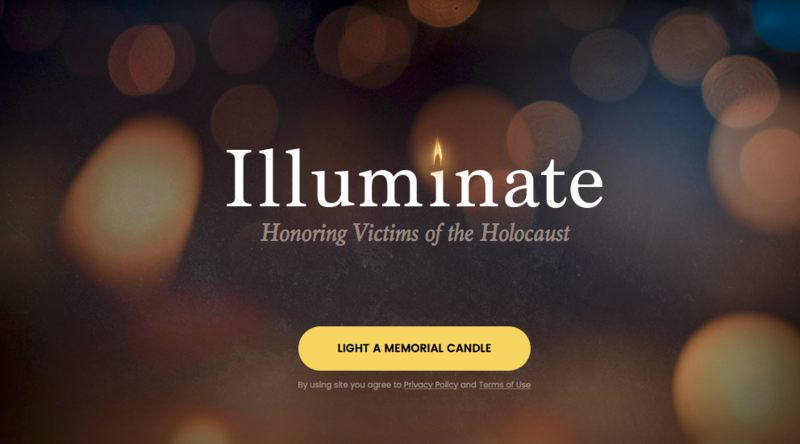 "But all these testimonies are especially important, because the story needs to be documented for the future to fight Holocaust deniers. Especially as survivors die out." Many members of this group are struck by the parallel to what's happening with refugees around the world today. Visa recipient Helft ends his testimonial with a plea for acceptance. "Forget about walls," he says. 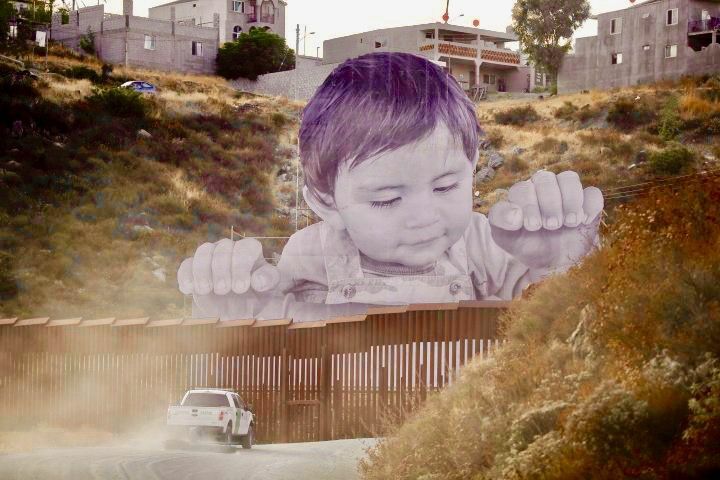 "Walls with Mexico, walls in Israel. Of course, accepting a flow of refugees, there are undesirables. How many? One percent? Think of all the others. Think of the children who are escaping horrors."